We believe home is where most patients want to receive their care. Patients recover more quickly, avoid infections and complications, and maintain a better quality of life when they are comfortable and in their own routines and environment. Couple the outcomes of home care with the scope of care a patient needs and the need for quality home healthcare is wider than ever. Many patients need skilled healthcare services from a nurse or physical therapist to get back to their activities of daily living as quickly as possible following an injury or surgery. Other patients need more services and long-term care for a chronic condition. Home healthcare serves the family and the patient better when we come to them for care instead of patients going to multiple offices for appointments and treatments. It also helps our patients maintain their dignity and routines, while easing the burden on family caregivers. Who can receive home healthcare? People of all ages with acute and chronic healthcare needs can receive home health services. 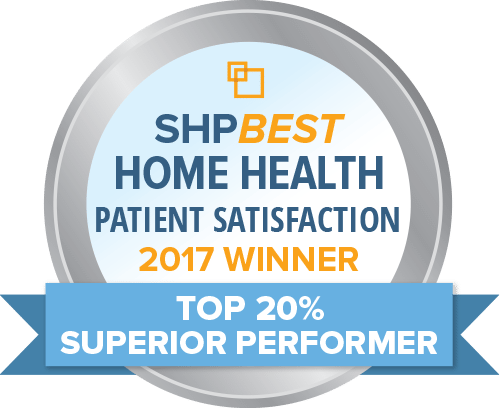 Home healthcare is for persons who require healthcare from a professional or who needs supportive assistance in the home environments, all under the medical orders of their personal physician. Will my insurance cover home healthcare? If the care ordered by a patient’s physician is medically necessary and the patient meets certain coverage requirements, then Medicare, Medicaid, and most private insurances will pay for home healthcare services. Medicaid coverage varies, depending on the state in which the patient resides. Different private insurance carriers have different policies concerning home health coverage. Some patients may choose to pay out of pocket for expenses not covered. Sunflower Home Health does not discriminate against any person on the basis of race, color, national origin, disability, or age in admission, treatment, or participation in its programs, services and activities, or in employment. For further information about this policy, contact: Kim Simcox, Section 504 Coordinator, 662-455-3535, TDD/State Relay # 1-800-855-1000.